The drama in this room was fantastic. 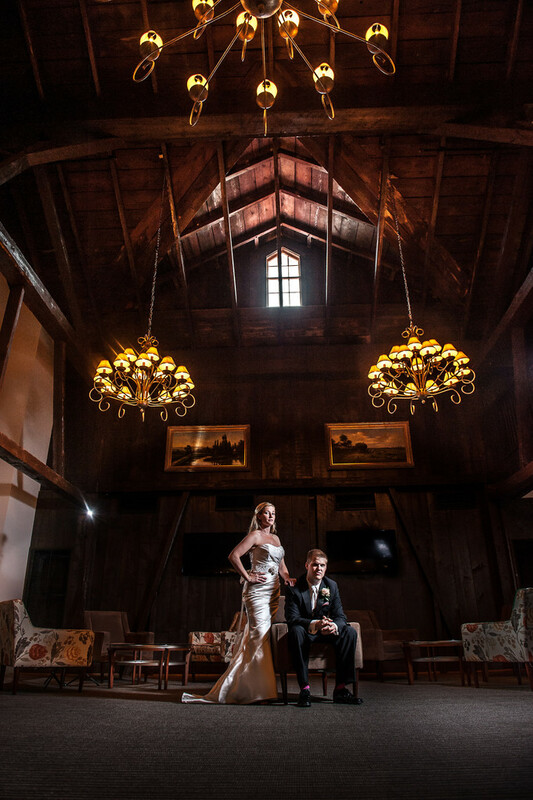 Our lovely bride and groom posed below a massive chandelier with two glimmering chandeliers on either side of them. The reddish vaulted ceilings were so interesting we had to incorpoate them.